Petit book is a wonderful mini book that comes only in two sizes (15x15 cm and 20x20 cm) and only 10 pages (5 spreads). It has a distinctive black back. You can choose among two different papers, either Ederra's 230g paper or Pika's 255g paper. Since it is lay flat you can design over the crease, however we do not recommend dark color photos over the middle with Pika paper since (rarely but possible) this paper can have a minor discoloration over the crease due to the luster coating and this specific type of back. Ederra paper is a photo paper (not archival, not fine art) in clean white with a premium range of unique quality printed with pigment inks. It gives high resolution and photo realistic inkjet printings with vivid colours and high picture quality. The appearance is smooth, matte. Pika paper is Kodak Professional paper is 255g photo lustre paper (not archival, not fine art) in semi matt finish. It is printed with inkjet dye inks that reproduce colors more accurately with deeper, richer black, an expanded dynamic range and additional detail in shadow areas. 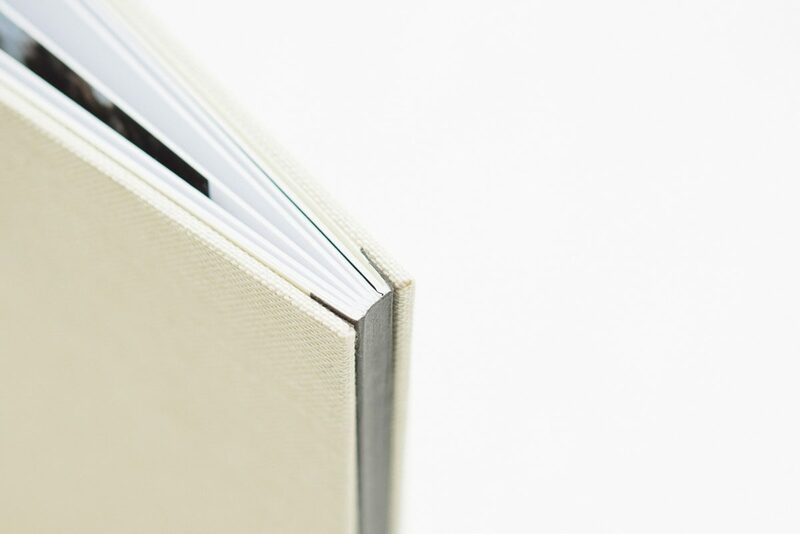 Book is available in 2 different sizes with only 5 spreads, 12 cover colors, and a variety of ways to personalize your book: engraving names, logos, cover photo, presentation box, debossing, hot foil, custom bag, and many more. Samples & duplicates are not available.